SSTI greatly appreciates the support provided by our members. Membership helps fund SSTI activities that enhance awareness and build support for technology-based economic development. Interested in joining SSTI and the nation's leading science, technology and innovation organizations? 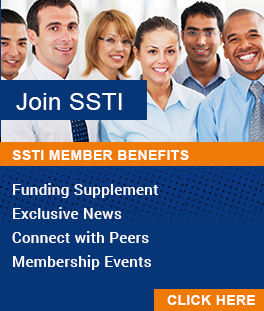 As your advocate for improving local, state and regional economies, SSTI provides members with funding opportunities, timely information on best practices in investing in science and technology, customized technical assistance, and the latest news affecting the tech-based economic development community. Click here for more info on the benefits of membership.